When we talk about 'touch' we mean touching a tag to a reader or a reader to a tag. The reader could be your mobile phone which can read QR codes and maybe NFC tags. Or the reader could be in the world and we give people tags. 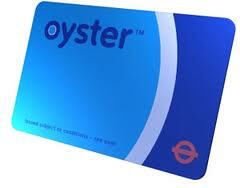 The Oyster card is an example of this. Touch allows us to identify the person doing the touching - in a respectful and light-weight way and that means we can customise the experience to them. Touch is much more precise than GPS or WiFi as a location technology. It works anywhere, indoors or out. Users decide to get involved and engage as deeply as they like through simple actions. A touch tag doesn't need to be a dull looking card, it could be a wristband or even a piece of jewellery. The content you give them depends on where they touch, when they touch and what they or their friends have touched before. You can tune their experience and your message to what they’ve seen, what they liked and what has been happening in their social group.